What's an Amazon brand support letter? 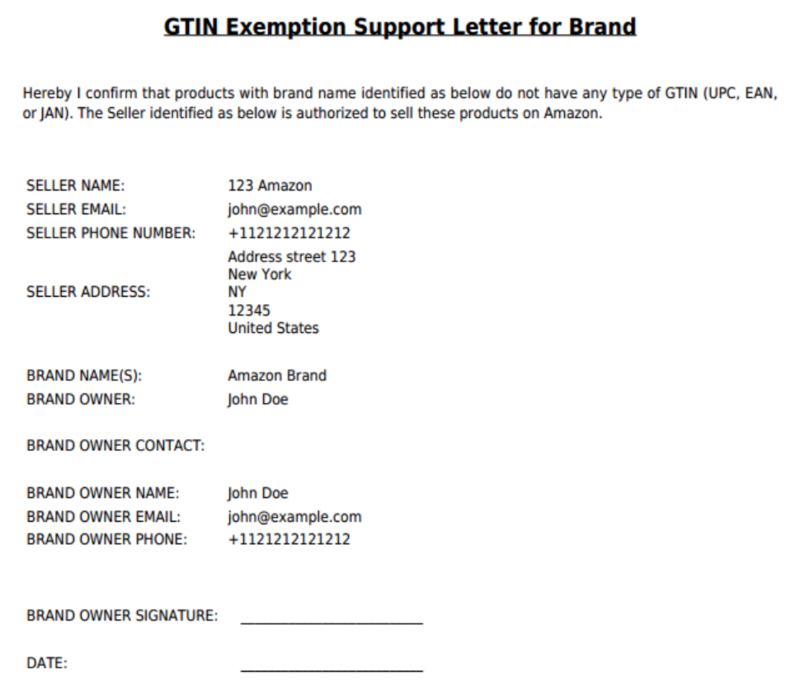 This is a letter you have to submit to Amazon when you're requesting GTIN exemption. We pre-created the form for you in the integration setup process. You'll basically have to fill out your contact info and some basic details about your brand.